My daughter celebrated her 16th birthday this week, and as usual, the mere idea of making a cake was stressing me out. No, I couldn’t cop out, and go to one of Paris’ many fantastic bakeries; the cake had to be homemade. 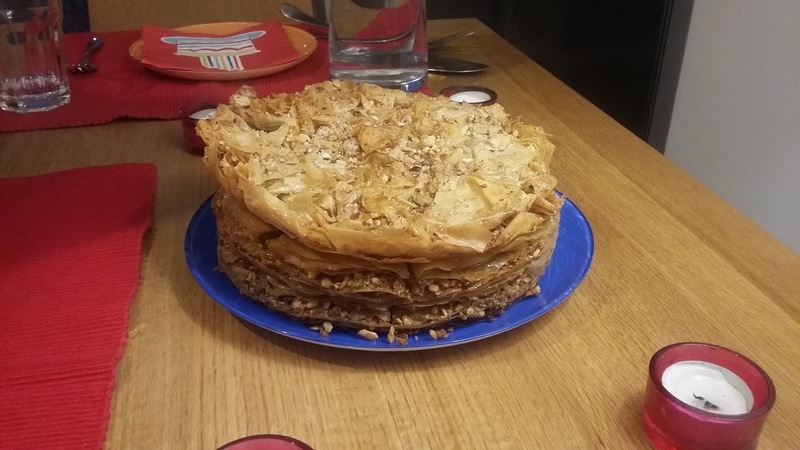 Last year the request was for a baklava cake, and I reacted with a typically French “can’t do attitude.” But with my daughter's help, we pulled off this stunning feat. And it’s not as hard to make as it looks (go here for the recipe). By comparison, this year’s request sounded so simple. 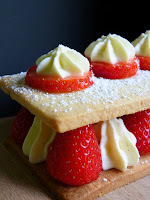 It was for a plain yellow cake with strawberries and whipped cream, a simple version of the French frasier, in other words--strawberry shortcake. No problem, I thought! My husband bought the gariguette variety of strawberries, which are small and delicate, but bursting with flavor. And they were in season. We were off to a good start. But of course, I had to make it complicated. I thought I’d try to bake the cake into thin layers, and then stack them artfully with sliced strawberries, using the whipped cream as mortar (see the photo for my dream cake). And of course, I made the batter using an untested American recipe. The cake came out partially burnt, uneven, and stuck to the pan. Why? Because I insist on using American recipes with French ingredients, which is an intercultural marriage with bleak prospects. “How about cutting out small rounds with the end of a glass,” my daughter suggested. 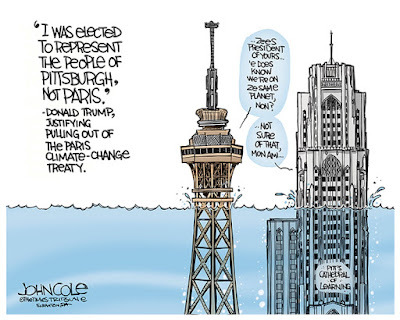 “And make a mini leaning Tower of Pisa?” I added. When life gives you crumbs, make crumb-cake? 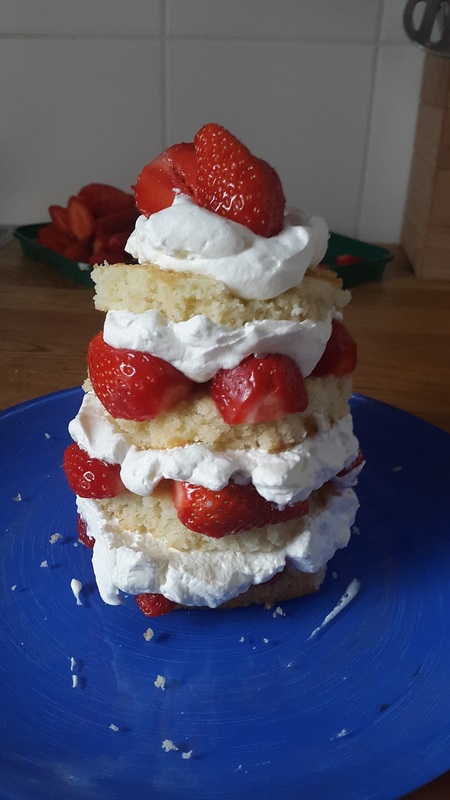 I started stacking, alternating a layer of cake with whipped cream and strawberry halves. My husband, the engineer, suggested impaling the tower with a chopstick for structural integrity. “It won’t last that long,” I said. We took a few photos before the tower collapsed under its weight, and somehow made it onto our plates. This mashup of an American recipe and French ingredients was messy. But put on the blindfolds, and it was a marriage made in heaven! I'm sure it was delicious!!!! !